I remember asingaporeanson, Jen, GD and me doing our “Top Gear” style challenge there a few years back. We took out SGD$10 and with that we are suppose to feed 4 of us with food from the stalls. Scrimping and saving, we managed to have a decent dinner with the paltry budget. It is probably not a possible feat elsewhere in Singapore. Of course last night gathering of the Secondary classmates, we have a missing member, which is asingaporean son. We ate our satay and grilled chicken wings in tribute to him. Cheers! An Analysis of Tom Cruise's Running Form. Came across this on RW daily again. Found it hilarious to be analyzing smarty pants Mission Impossible lead's running form. Strange that it reminded me of The Running Robot's original running form. Ex classmates and friends, any comments? It has been a wet day over here in Singapore. I have been driving up and down the island to attend my family barbecue gathering in the north. It has been a while since all of us have gathered together since my wedding a few months ago. My mum made herbal soup and green curry in addition to the usual grilled food. It has been a long while since I had a taste of my mum's cooking. It made me miss the days I used to stay with my parents when I was much younger. Tonight, felt like a step back to the past. 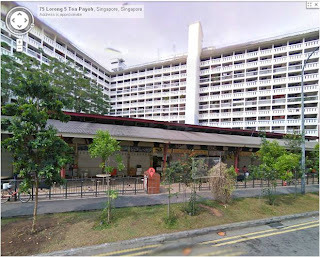 The old parking complex where I used to park my car. Walking along the familar pavements. Going to the 7-11 store which I used to patronized regularly. Seeing the old neighbours. 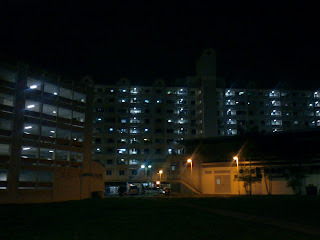 Smelling the fresh air at Bukit Panjang...So much have stayed the same, yet circumstances are so different. The heart rate monitor is a piece of expensive running gear, period. It is a serious piece of kit. Once you are committed to buy a heart rate monitor (HRM), it means you want to get serious with your sport. Nope, I am afraid there are no shoestring budget here. 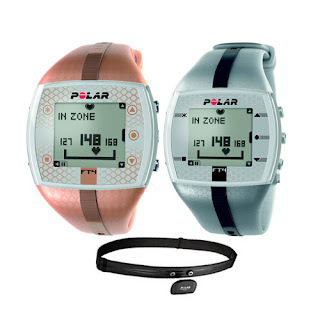 Even the most basic heart rate monitor, for example Polar FT1 in Singapore will set you back by about SGD$100 (USD$77.48). Of course, everything is relative. if you have deep pockets, this will be small change. However, if you have deep pockets, you probably won't be reading the Running Gear on a Shoestring guide. Forget about those strapless HRM etc. Those without straps will require you to put your finger on the watch and measure the pulse from there. Nope, you don't want to run with your finger on the watch. Hence, take the one with a chest strap. Lately, I being reading up book from written by a Irish infantry captain who served in Afghanistan. With this, my interest in the conflict grew, I began searching for ways to connect with those troops who were deployed on the ground in Afghanistan. I found well written blogs maintained by both the British Army and by a British RAF airman. Why am I so supportive of the army? Most Singaporean boys see National Service as a chore and probably want to hear no more of it once it is done. Unlike many of my contempories who have served the army, I do not bear any grudge towards the forces. Do remember that I was one of those who had a hard time adjusting to military life during basic military training (BMT). When I first started running, I wore cotton T-shirts and cotton shorts (supplied by the army). It was functional and that was what I wore during army physical training. It was adequate for the beginning. When I started hitting 6km per run, its shortcomings became evident. While sweat soaked cotton tee was acceptable at 5km and below. It started becoming heavy and chilly as I approached 6km. And that is at a warm air temperature of probably 29 degrees Celsius. Aware that will be a receipe for catching a chill. I immediately cut the run short. It was also getting uncomfortable to continue running. When I reach my end point and got back to my car. I took off the cotton tee. I could wring pespiration out of it like a wet rag. Note that average temperatures in Singapore stay at a constant high of 28-32 degree Celsius daily year round. Humidity is also at a loft 90 percent daily year round. So what happened to me may not happen in a cooler or drier location. I gave up running after I left the track and field team during my final year of my Junior College years. Running was rare and almost nil unless there was a need to participate in a physical fitness test. As every Singaporean boy would have to be conscripted for 2 years (2.5 years in my case) service when they reach 18 years of age, I was drafted into the army in 1997. Initially, I found it hard to adjust to the regimental life. My boot camp (Basic Military Training) at Nee Soon Camp passed by miserably as I failed almost every test that they threw at me. I couldn’t run, shoot, conduct drills or even a do a jumping jack. I know I was having a hard time adjusting and there were several crises in my family and life at that time. It was tough and I really didn’t know how I managed to get through it. In fact, I ended my boot camp with an injured ankle and watched the Passing Out (Graduation) Parade by the sidelines. I found this well written blog by the British Army in Afghanistan. I have been reading up on the operations in Helmand, Afghnistan and knew how difficult things were over there. Have a look and see how they find humor in a land where life and limb hangs in a constant threat. Its being a while since I ran in the 383, couldnt get used to during the run today. It is harder than the Asics and the sole is more slippery. 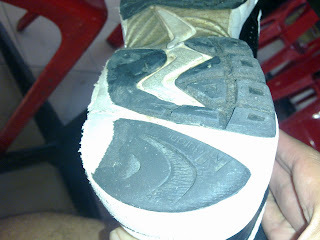 When I ran with this pair of shoes, it made a tsk tsk tsk sound as the uneven sole grind across the ground. Compared to the Asics which is near silent. Probably its time is almost up. 512km is as good as me running up from Singapore to Kuala Lumpur. The running robot has transformed from sedentary robot to running robot wearing this pair of shoes. I ran my 10k and first half marathon in it too. Hmm...ok. Maybe I give it another 100km, before decommissioning it. I browse through my old blog today. A blog which I stop writing after my illness struck. It reminded me of the old life of the running robot. After years of being told that the bespectacled running robot has no place in the world of pilots. A fellow flyboy AJ reached out his hand and brought the running robot into the cockpit. It was after all a myth. 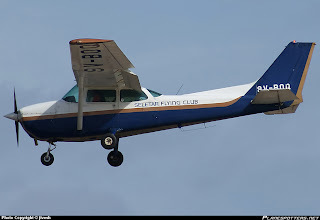 Pilots do not have to have natural perfect eyesight. Lately, the days has been gray and stormy in Singapore. It made the days shorter too as I found it hard to squeeze time to run all the errands that I need to do. Running in the evenings were aftected too as it often rain. So much so that I do some of my training runs in the afternoons instead. Even then it is possible to end up running in a drizzle as a passing cloud may also bring rain en route. I think I may also be affected by the seasonal affective disorder caused by the gloomy days... I am becoming grumpier lately. Or maybe it is the frustration of not being able to complete, what I need to do each day. 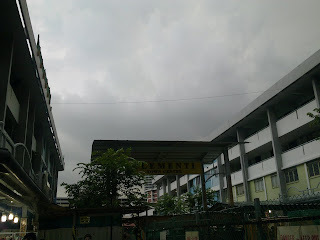 It has being raining the whole morning. I am waiting for my little opportunity to go for a little run. I met my parents for lunch yesterday and had a little discussion about the car issue. I raised the possiblity of changing down to a newer Hyundai Picanto to save costs. He immediately put down the idea. His mechanic has complained to him that he always have a Picanto in his garage every week. Hence, it has a durability issue. Korean parts were also expensive. So I could end up paying more for maintainance in long run. It was a relief to hear those words. Heartwise, I haven't had the slightest inclination to change to a Picanto. Economically, it seems tempting. But his words sealed the deal. I have also consulted some of the Swift Sport owners online to ask them about the ownership experience and costs. They provided valuable pointers to remember. It is a fun car! It can have a fuel efficiency equivalent or better to Marchie if driven sanely. My Mrs has been making some noise about the budget and my car Marchie lately, and we are contemplating selling it. Obviously, I couldn't bear to sell my first wife, Marchie. Nevertheless, I being visiting some used car dealers and trying to run up some numbers,like how much Marchie can fetch. Also if possible to find a newer car and hopefully not to pay so much. I came across a blue gray Suzuki Swift Sport, a bit older for my contemplation. I have being looking for cars that are from 2008 or younger. The Sport is from December 2007 and cost SGD$46,800. The price is cheaper than most other cars I being considering. For the benefit of overseas readers, cars in Singapore are ridiculously expensive and still getting more ridiculous. 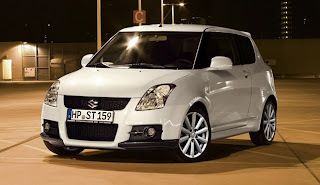 A normal new Suzuki Swift now cost almost $100,000. A new Sport will cost about $120,000. While Mrs has been asking me to consider living without a car. I have being having sleepless nights about losing Marchie. 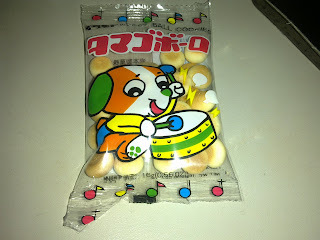 More nostalgia, as I consume one of my favourite snack when I was a little boy. The running during my formative years, affected my physical development. I was lean and dark. I have strong legs but very tight hamstrings. Hence, I continued to flop my physical fitness tests in school. I failed my sit and reach station as I was not flexible. The standing broad jump station was also an obstacle at times as my leg muscles were meant for endurance running and not for jumping! I continued running throughout my secondary school days. Moving on to junior college, I thought I'll join the track and field team since I was interested in running. How wrong, I would be. My wifey made me this today. What do you think? Is this spaghetti? I was never a runner all my life, it began about 10 months ago that I began my first baby steps towards being a runner. However, there was a legacy. 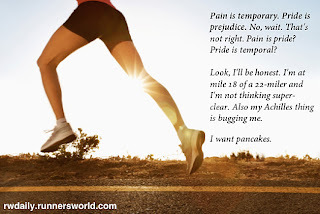 I remember that I was fifteen years old when I first fell in love with running. I was not adept at ball games or other sports as I was awkward with my motor skills. Socially, I was also left out because of this. Most of my classmates including asingaporeanson were soccer players. They could play from dawn to dusk in canvas shoes and a tatty ball. I couldn't play for nuts. In the rare occasion when I joined them in the soccer games, I will be assigned as a defender. The objective is simple, if the ball comes over to my side of the field or rather volleyball court. I just have to kicked it back to the other end. Accuracy zero, skill set zero. Did a run by the beach at East Coast just now. My usual running place. A planned 7km run. Upon reaching my water point at the 4km mark, I bought a sports drink from the vending machine and started walking while drinking. I started feeling dizzy and weak. I checked my heart rate monitor, a healthy 69percent. It wasn't spiking. Usually if I am going to fall ill or an infection coming, the heart rate will spike to 80percent and beyond. I begin to fear if it is my blood pressure or is it because of the lack of food. After all, it is already 8.30pm and I have not had dinner. Walked for a while more and tried restarting the run. 100m and stopped. Felt faint, walk somemore. I am 3km from the car and I do not relish walking the whole way. Tried running again and it held. It has being a month exactly since, I return from Eastern Europe. Glancing at the photographs that I took while I was there. It made me miss the places that I went, especially Poland. I miss the cold weather, the autumn leaves, the beautiful old buildings, the simple food, the layering of clothes. The Polish must think I am mad to miss the cold weather, after all it is now 1 degree Celsius in the city of Krakow now. Having live in sunny Singapore all my life and being a "Polar Bear"; ie: I can tolerate cold but not hot. Being a polar bear in sunny Singapore is no joke, I have being suffering all my life with attacks of heat rashes, soaked sweaty shirts and various other ailments associated with heat.